When people hear about gates, the first word that comes to their mind is safety. But in the modern world, safety can be combined with sophistication. One of the trickiest job for a homeowner is to choose a design and type of gate for their property. And of the most popular gates today is the contemporary gates. Here, it is easier for you to achieve complete safety without sacrificing the look. When creativity is introduced to safety elements, you can expect for a better quality of life. With plenty of designs, you can do with contemporary gates, your money is worth to expand. If you are not yet sure with the type of your gate, you can simply take advantage of contemporary gates. Contemporary gates come with convenience. When you are a very type of person, this type of gate is the perfect match for you. You do not have to worry about the maintenance or repair expenses since its easy to operate as well as it requires low maintenance. With contemporary gates, you have control of the entrance or exit process. Some contemporary gates are designed to be automatic. You can actually create boundaries for your children as well as your pets allowing you to prevent danger and other unwanted circumstances. One of the amazing things about contemporary gates is their variation. You can choose from different height, shape or size to make your home more secure and safe. Also, you can customize the design according to your taste. Using installing contemporary gates, you can actually save money. Because of the variation it offers, you can actually find the design that can suit your budget. Through contemporary gates, you are not just making your property safe and appealing, you are actually saving money. Apart from the above benefits of contemporary gates, you can also enjoy its different designs. If you are dreaming of a simple yet elegant look of the gate, this contemporary gate design is ideal for you. Aluminum frame complements the simplicity of metal panels making it more aesthetically appealing at the very first look. Ever since wood is one of the gate materials that never lose its elegance regardless of the time. You can take advantage of woody plants that can be attached horizontally into the iron frame. This can create a rustic appeal to your entrance. Having a country-style home make it easier for you to achieve a modern country design. Your contemporary gate can create a sleek yet modern version of the well-known white picket fence. Playing with elements like stone, glass, and metal for the contemporary gate is never a bad idea. In fact, it can create a simple yet stylish look with the help of right artificial lighting. Thus, by tying them in a horizontally, you will be able to create a better look. For a tropical yet sophisticated appeal of your contemporary gate, you can take advantage of the slim and wrought-iron slats. Now, you have the best ideas about how you are going to enjoy your contemporary gate. The next thing to do is to contact a contemporary gate service providers. Emil Garage Doors is willing to provide you with the best quality contemporary gates without worrying about your budget. We have the most creative and skillful team in the state of California. We are always ready to offer excellent customer service you can ever imagine. 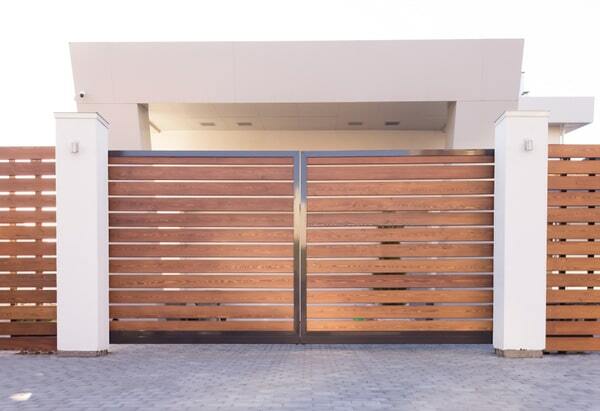 Call (213) 340-4232 and we will give you the best deals for your contemporary gate. We only give what is best for you.